Turning your home into a full-on Zen space is one of the biggest wellness trends of 2018—think Himalayan salt lamps, meditation nooks, and healing crystal-inspired home decor. Another way to embrace a healthy home? Shower plants—ones that clean the air, eliminate bacteria, and never need to be watered because they, you know, live in your shower. These guys turn boring subway tile into a lush, almost tropical escape. Shower plants not only help to clean the air, but also thrive in warm and humid climates—perfect for the bathroom. And that’s probably exactly why they’re trending right now. A team at Pinterest found that searches for the term “shower plants” was up a massive 302 percent since last year. According to Megan Schrimmer, the director of merchandise at ProPlants, the popularity is undoubtedly due in part to the double duty shower plants pull. “Plants, such as those in our Breathe Happier Collection, not only help to clean the air, but also thrive in warm and humid climates,” says Schrimmer, just like your bathroom. “These often tropical plant varietals aren’t as ‘thirsty’ as others, so depending on just how humid your bathroom is, you may be able to cut back on watering them to save time,” she says. Look for tropical plants like ferns, orchids, bromeliads, bamboo, and other greenery like philodendron and sansevieria to decorate the bathroom with, along with air plants. 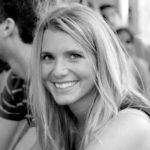 “Just make sure the air plants are allowed to completely dry every day, otherwise the roots will rot,” says Schrimmer. Surprisingly, rotting roots are exactly why you shouldn’t keep succulents in the bathroom, she explains, because the moisture from the air can actually be too much for these kind of cacti. Easy enough, right? Considering the slew of health and aesthetic benefits shower plants provide, you’d better believe I’m turning my own bathroom into a full-blown garden ASAP. For now, though, I’m getting my ideas from—where else?—Pinterest. 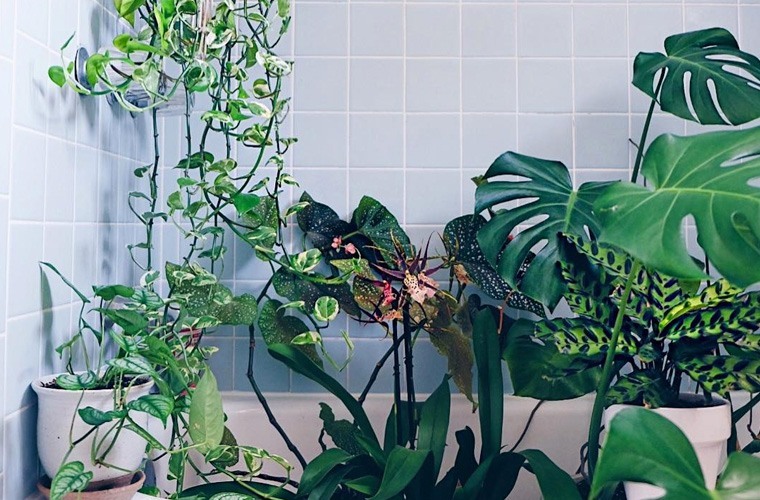 Scroll down to see 7 vibrant and lush shower plants and bathroom garden escapes for #inspo. Need some other ideas to trick out your shower? How about a $3 shower bomb or better yet or one of these cozy candles to help set the mood.